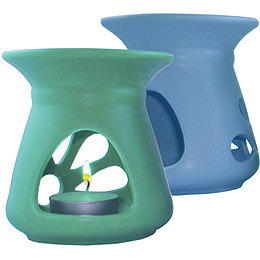 Ceramic oil burners available in a range of different colours. Custom pad printing available on one side. Custom branded essential oil bottles and tea light candles are also available for an additional charge and can be packaged together to create an extra special corporate gift. Standard Colours: purple, chocolate, blue, cream, green, black, red.